Sickle cell diseases are the conditions that are caused due to the abnormal shape and low flexibility of red blood cells, which are otherwise flexible and round, and the reduction of blood and oxygen caused as these irregularly shaped red blood cells cannot easily pass through blood vessels. The global market for treatment of these conditions a thriving and dynamic marketplace. With the vast population of people suffering from conditions such as sickle cell anemia, sickle hemoglobin C disease, and sickle beta thalassemia, the demand for new medications that can more effectively treat these conditions is high. The limitations of the common therapeutic measures adopted presently, including blood transfusions and hydroxyurea, have also been compelling leading vendors operating in the market to come up with better and novel therapeutic measures for these conditions. 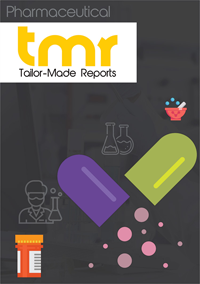 This report seeks to present a thorough account of the past, present, and the potential future state of development of the global sickle cell disease treatment market to help companies take informed decisions when venturing into or formulating growth strategies pertaining to the global sickle cell disease treatment market. The market has also been analysed for the scope of therapeutic measures based on the indications, new drugs in the market in the past few years, and the drugs in pipelines. The global market for sickle cell disease treatment has been chiefly driven due to the rising prevalence of these conditions in developing as well as developed economies of the globe. Moreover, the vast set of unmet needs in developing economies, rise in regulatory support from several governments to R&D activities associated with these conditions, and faster approvals of new treatment methods are also working in favour of the global sickle cell disease market. In the near future, the market will be driven by the rising demand for new and more effective therapeutic measures, rising disposable incomes in emerging economies, and improving healthcare services across several emerging economies. However, the market could be hit by factors such as the lack of proper healthcare infrastructure in certain regions with emerging or underdeveloped economies, the unavailability of specific medications in rural areas in several regions, and low disposable incomes of people across a number of countries. The lack of skilled labors in developing economies could also emerge as a hindrance for the market. Moreover, the lack of medical reimbursement in several countries across the globe, which makes it difficult for low-income groups to continue their treatments and regular dosages, and the high cost of most medications also act as hindrances for the market. From a geographical standpoint, the report segments the global sickle cell treatment market into regional markets such as North America, Asia Pacific, Europe, Middle East and Africa, and Latin America. It has been observed that these conditions most often affect people from Middle East, Africa, and South Asia. As such, these regions present the most promise when it comes to the treatment measures for sickle cell diseases. However, the market in North America is presently the leading contributor of revenue to the global market, thanks to the high numbers of leading companies operating in the field and the well-established healthcare infrastructure in the region. The encouraging medical reimbursement policies in the region also work well for the market. Some of the leading companies operating in the global sickle cell disease treatment market are Bristol-Myers Squibb Company, Merck & Co., Inc., Bluebird Bio, Global Blood Therapeutics, Baxter, Gilead Sciences, Inc., Eli Lilly, Pfizer, Inc., Mast Therapeutics, Johnson & Johnson, Novartis AG, and Sanofi.